Wireless has always been the future. On Star Trek, Kirk isn’t hampered on his quest to meet as many different female aliens The Easy Way to Catch Up on 50 Years of Star Trek The Easy Way to Catch Up on 50 Years of Star Trek Star Trek has been around for 50 years, and that means there's a lot of content for completists to wade through. Thankfully, there is an alternative way of catching up on 50 years of Star... Read More as possible by something as mundane as wires. He’s totally hands-free on the holodeck. The thing is, wireless is now the present. The technology has finally reached the point where you can safely go wire-free with almost no downsides. Bluetooth headphones are no longer ridiculously over-priced, plus they’re under-performing. For the past six months, I’ve been exclusively using wireless headphones. When it came to get new headphones, I went all-in and invested in a pair of Sennheiser Moment 2.0 (UK). 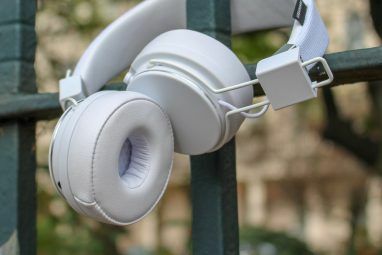 They’re one of the best Bluetooth headphones The 7 Best Bluetooth Headphones You Can Buy The 7 Best Bluetooth Headphones You Can Buy Finding the right pair of Bluetooth headphones isn't easy, so we've compiled a list of the best Bluetooth headphones money can buy. Read More available right now. Since that time, I’ve realized that wireless headphones are miles better than the alternatives. Here are five reasons why. Until you move to wireless headphones, you don’t really realize how annoying wires can be. I used to use wired earbuds and the cable kept getting caught on door handles or tangled up into knots in my pocket. It was just one of those things that happened so often I barely noticed it anymore. But when I switched to wireless, it quickly became clear how much that sucked. With wireless headphones, you’re free of all those little annoyances. There are no wires to get caught. You just don’t have to think about it. You’re free to dance, cook, go to the toilet, and move around your house without worrying about yanking out a cable, spilling hot oil on yourself, or accidentally dunking your phone. The biggest point of failure in headphones is the cable. I’ve spent way too much time taking apart broken headphones How to Fix Broken Headphones How to Fix Broken Headphones Despite having a reasonable pair of Sennheisers and looking after them, my headphones broke recently — like they always do. Rather than replace them, I decided to repair my headphones. Here's how. Read More and soldering in new wires because it was the only part that didn’t work. Everything else in the headphones was as good as new — it was just that the tiny, millimeter-thin cable couldn’t stand up to daily use. It was even worse with earbuds. I’d get a few months of listening out of them, and if the manufacturer had a good warranty then they might send me a second pair. But at least twice a year I was in the market for a new pair. You can’t buy decent earbuds more than a few times a year without breaking the bank! Since moving to wireless, I haven’t had a single issue. There simply aren’t any cables to break. All the components inside the headphones are rock solid and, as long as I don’t take them swimming, will likely last for years. It’s the same with pretty much all wireless headphones. They’ve removed the only bit that breaks easily. As long as you can look after your things and don’t lose them, they’re going to last a lot longer than equivalent wired pairs. The point of failure is gone. This one advantage more than makes up for any extra upfront cost. For a long time, wireless headphones used to sound noticeably worse than their wired counterparts. They just weren’t capable of the same quality of playback as a pair of wired headphones. That’s different now, and for two reasons. First, Bluetooth has improved a lot Bluetooth 5: What's New and What's Good? Bluetooth 5: What's New and What's Good? The latest version of Bluetooth has been announced and will be packed full of improvements and new features. Here's everything you need to know about it. Read More over the years. It’s no longer the janky service that failed to connect god-awful earpieces to Blackberry phones. Modern Bluetooth devices from decent manufacturers are seamless and can readily connect to all your devices. I’ve taken potshots at Bluetooth over the years, but it’s finally changed its tune. 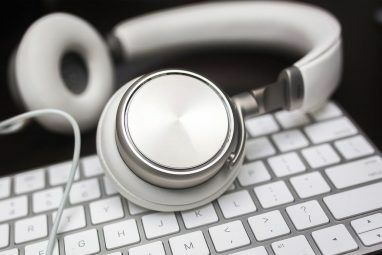 Second, with the rise of streaming music services The End of Ownership: Netflix, Spotify, and The Streaming Generation The End of Ownership: Netflix, Spotify, and The Streaming Generation Streaming media is convenient, but you're giving up something important: ownership of digital media. Read More like Spotify and Apple Music, the quality of music files that most people are listening to has dropped. Nowadays, only people with incredible ears and even more incredible audio setups can hear the subtle differences in higher audio quality Are You an Audiophile? These 10 Questions Reveal the Truth Are You an Audiophile? 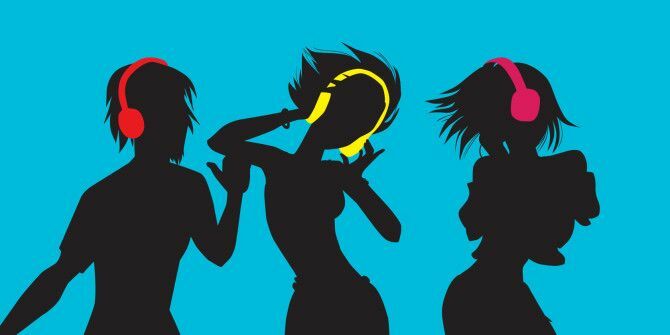 These 10 Questions Reveal the Truth You might think you are an audiophile, but in reality very few music lovers tick all of the necessary boxes. Are you really an audiophile? Or are you just a great pretender? 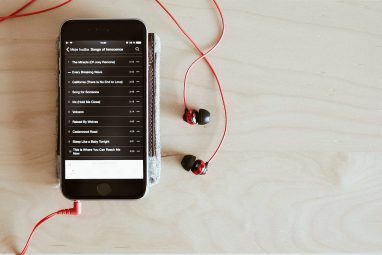 Read More — and most streaming services aren’t even transmitting those higher-quality details thanks to audio compression. Since the majority of people can’t hear the difference between a high-quality lossy stream and a CD, it makes sense for services to use them. Tidal, which makes a big deal out of their higher-quality files, is struggling to get users Is Jay Z's Tidal Music Worth a Second Listen? Is Jay Z's Tidal Music Worth a Second Listen? We weren't impressed by Jay Z's TIDAL at launch. Now, one year on, we thought we’d check in to see if TIDAL is worth using... Read More . They just don’t make a difference in the real world. A decent pair of Bluetooth headphones is more than capable of playing back Spotify at its full bitrate. You’re not losing any sound quality through the headphones; it wasn’t really there to begin with. There’s just no point listening to a streaming service with a $2,000 dollar audiophile setup — the equipment massively exceeds the quality of the source material. We now live in the age of regular charging. It’s just a thing you need to put up with. Some devices, like Amazon’s Kindle, can last a lot longer, but for the most part people are conditioned to plugging electronics in everyday or, at most, every other day. Wireless headphones have more than enough battery life for daily use. The Sennheiser Momentums that I use have roughly 24 hours of battery life. As in, 24 hours of actual, continuous audio playback. Last week, I flew from Thailand to Ireland — 20 hours of travel time — listening to them non-stop. They were still at 40% battery when I arrived home, tired and jetlagged. They normally last me a week between charges. Even wireless earbuds like Apple’s new Airpods have enough battery life for regular use. They get five hours from a single charge, and the included charging case takes that to more than 24 hours. Most people just aren’t listening to that much audio at a time. Think about how often you need to charge your phone, smartwatch, tablet, laptop, or Snapchat Spectacles Snapchat Spectacles: Everything You Need to Know in a Snap Snapchat Spectacles: Everything You Need to Know in a Snap Over the past few days, Snapchat has rebranded to Snap Inc. and it launched a new hardware product called Spectacles. The app still remains "Snapchat" though. Here's the full rundown. Read More . A set of Bluetooth headphones isn’t going to make much difference to your nightly USB routine. Where Apple leads, other companies follow Why It Doesn't Matter If You Hate Apple Why It Doesn't Matter If You Hate Apple No other tech company gets the same level of coverage, and there's one simple reason: people care more about Apple. Read More . With the iPhone 7, they made headlines by removing the ancient 3.5mm audio jack Apple Launches New iPhone 7 With No Headphone Jack... [Tech News Digest] Apple Launches New iPhone 7 With No Headphone Jack... [Tech News Digest] In case you've been living under a rock, we have a brief rundown of the latest Apple event during which Apple showcased the iPhone 7, the Apple Watch 2, and Super Mario Run for iOS. Read More . By getting rid of it, they had more space for a larger battery and two cameras Everything You Need to Know About the iPhone 7 & iPhone 7 Plus Everything You Need to Know About the iPhone 7 & iPhone 7 Plus No headphone port, water and dust resistance, and Apple's best camera yet -- this is the iPhone 7. Read More . Over the next few years, Android manufacturers are going to follow suit. There’s going to be a market for Lightning, and probably USB-C, headphones but they’ve got all the regular cable problems. They’ll sound great No Stereo Jack, No Problem: Why the iPhone 7 Sounds Great No Stereo Jack, No Problem: Why the iPhone 7 Sounds Great It's official -- Apple has removed the standard 3.5mm headphone jack on the iPhone 7. But don't worry, this is a good thing. Read More but if you’re listening to Spotify, it’s not going to be that noticeable. It makes far more sense just to accept this as the end of wired headphones for most of us. They’ll always have a place for people on a budget and for audiophiles, but for everyone in the middle, wireless is going to be the better option going forward. It’s Time to Go Wireless! Have you joined the wireless revolution? Or are you still plugging in? Let us know in the comments. Disney+, Is IPTV Legal, and Office Alternatives for macOSFree Bitcoins: Fact or Fiction?